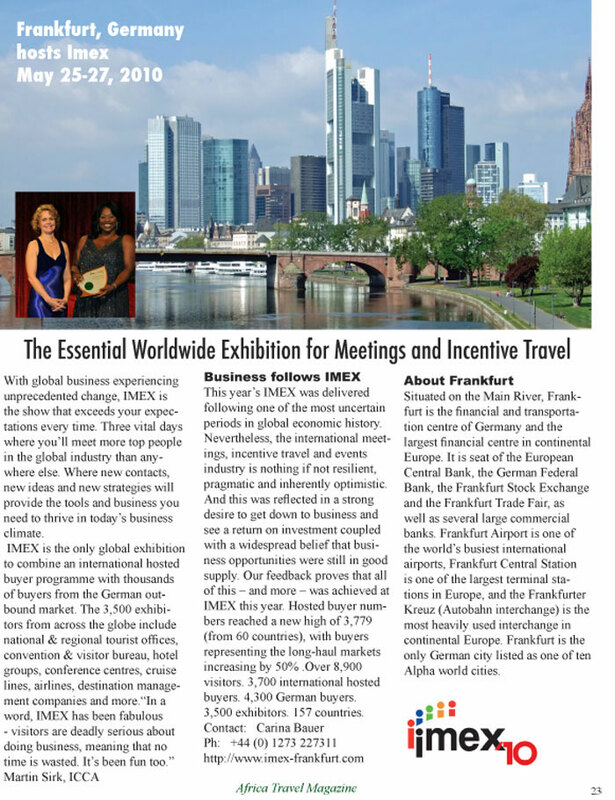 The IMEX Group runs the world’s largest and most diverse exhibitions for the meetings, incentive travel and events industry. With a special focus on the needs of association executives, the exhibitions offer ICCA members unrivalled access to the important association market. IMEX exhibitions are proud to be endorsed by ICCA. Join 3,500 exhibitors representing over 150 countries in Frankfurt this May, together with almost 4,000 hosted buyers from across the world and an additional 5,000 trade visitors. Exhibitors include convention and visitor bureaux, conference and convention centres, national and regional tourist offices, major hotel groups, airlines, destination management companies, cruise lines, technology companies and more. Now in its 3rd year, IMEX America welcomes over 2,500 exhibitors representing nearly 150 countries, together with the largest hosted buyer programme in North America. Meet with over 2,500 highly qualified hosted buyers with global buying power, plus hundreds of additional buyer attendees. Oh, how I wish we had this type of seamless air rail connection in Canada!. Last spring's rail trip to Paris began shortly after we landed at London's Heathrow Airport. One of the conveniences of traveling in Europe is how major airports like Heathrow are so well integrated with rail transportation in one "seamless, " user friendly operation. Next time I go there by train, however, I vow to take a lot less luggage (we had seven pieces left over from our Africa trip) which made it a struggle whenever we changed from one method of conveyance to another. It was like being back in the CNR freight sheds in Edmonton lugging heavy cargo, but at that time I was getting paid for the job. Nevertheless the staff in each case was helpful in helping us locate carts and dollies. The weather was stormy, and the English Channel so choppy that, from inside our crowded Hovercraft looking out, it reminded me of an old Bugs bunny cartoon. You may remember the one where Sylvester the cat is viewing life from the inside of a clothes dryer, before he emerges looking like a puff ball. In retrospect, it was all part of the day's adventure. After all, we were lucky to be aboard, because due to labor trouble in France, the whole transportation situation was unclear. We were on pins and needles for a while, thinking that we might have to change plans. However common sense and good fortune prevailed, and we were soon heading into the terminal at the French port city of Calais. World's Major Airlines. Who flies where and when? With our biggest aviation edition in ten years well underway, serendipity played its familiar role in my life when I received THE WORLD'S MAJOR AIRLINES by David Wragg. It arrived by mail last week courtesy of the MBI Publishing, St. Paul, MN and was presented by John Wurm, Publicist for Military and Aviation. I plan to write this book review in installments, since my first reading was to get an overall position on how valuable this timely and well researched book will be in my evaluation of Africa's airlines and others serving the continent. Here are some comments from MBI that help set the stage. "Today there are so many airlines operating throughout the world that even the most knowledgeable enthusiast can soon become confused about which airline flies from where to where. This new, fully illustrated edition has been revised and updated to include the major advances in the aviation industry since 1998.The author has added introductions for each nation, summarizing its history of civil aviation and placing the subsequent entries in context. 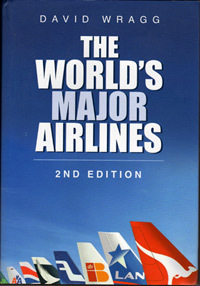 In the World's Major Airlines David Wragg provides more than 500 entries. Listed in alphabetical order by country is every airline in the world which has more than five aircraft with more than 19 seats,or equivalent cargo capacity. Comprehensive information is given on the name, history, bases, aircraft operated, routes flown, number of passengers and tonnage of cargo flown annually, and much other useful and interesting data. The World's Major Airlines is an invaluable source of reference for aviation enthusiasts, travelers and those working within the industry." More to come. Search and book hotels in Amsterdam and all the major cities in the Netherlands.